poised to grab a piece of the projected 8.1b juice industry (projected for 2024). The fact that health-conscious people are looking to drink super juices dense with nutrients end up paying $10 for a 12 oz juice is the reason why the industry is expected to grow so dramatically. For those of us that are also price-sensitive, this can be really expensive. 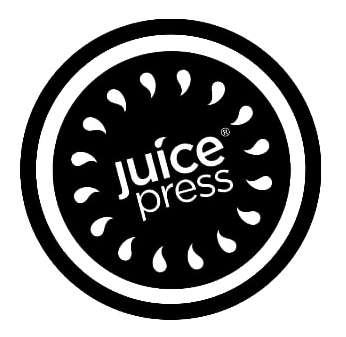 The good news is that Juice Press allows you to save $3 off a juice by using their promo link. This LevelpUp link will prompt you to download the Juice Press app. This $3 Juice Press app credit is free to use on anything on the company’s large menu of healthy options. Not just juices and smoothies, but their menu also contains super foods, acai bowls, immunity boosters, and infused waters among other menu items. 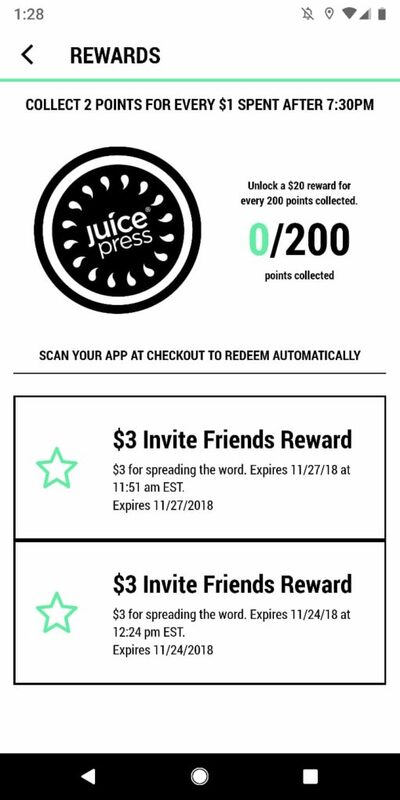 As we mentioned above, Juice Press gives first time app users the ability to save $3 off their first menu item by downloading their app (iOS or Android) using this referral URL. The savings don’t stop there. After getting your $3 credit, Juice Press fans can begin earning their next discount. That’s because Juice Press’s app is also their loyalty program. For every one dollar you pay using the application, you “collect 1 point” and once you accumulate 200 points, you’ll unlock a $20 reward that can be used at Juice Press. That’s a lot of juices, right? Well, the company doubles the points you can earn if you visit and buy something at Juice Press after 7:30 PM. Meaning if it’s the early evening heading home from work and you want a juice, the patient ones can earn 2 points per every $1 spent after 7:30! If you buy all your juices, smoothies and acai bowls after 7:30, you only need to spend $100 to get to 200 points and receiving $20 back. If you do it this way, that means you’re earning 20% on every dollar (as opposed to 10%). In order to earn loyalty rewards, you mustfirst download the Juice Press app to get $3 off to start.The $3 app credit can be used to pay for any menu item in any Juice Press location across the country. Be warned, once you earn the $3 credit, you have 30 days to redeem it.